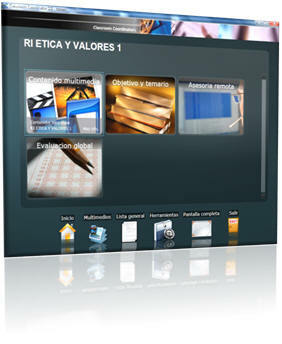 Classroom Coordinator© user interface delivers all your content and resources with a few clicks. Full personalized look and feel. Get all your assignments in just one place. Simple and organized environment with an icon based toolbox. 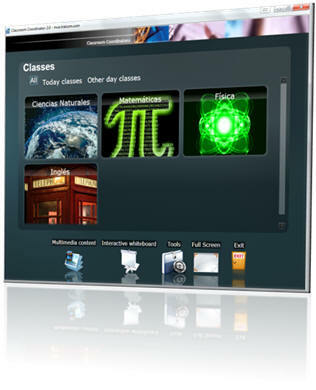 5 meters (10 feet) user interface with hi-contrast and big sized fonts to offer great look in all places of your classroom. Designed to be presented in a low resolution screen like a common TV or with a Hi-Res colorful LCD or projector. Follow the syllabus and accomplish all the course program with our easy reviewed/to-review filtering. 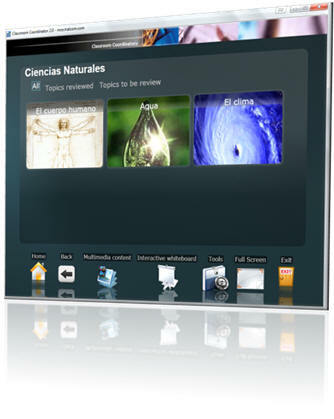 Identify which content is reviewed at classroom and associate it to the student included in the absent list.